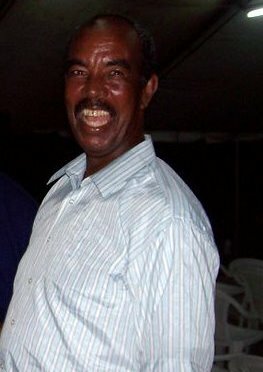 Former Chief of Immigration Edwin Winston Gillett passed away on October 5th while visiting his family in Los Angeles. His family was preparing for his funeral for Sunday, October 16th in Belize, but when the casket arrived on October 14th they found the body of a Caucasian female. It seems, the airline which was bringing the body to Belize made a huge mistake and attached his documents to the wrong casket. It goes without saying that this huge blunder has caused his family great distress on top of their grief. American Airlines Jim Wilson International Desk was contacted by Village View Post and they have confirmed that the body of Edwin "Eddie" Gillett was located in Hawaii. His remains are being re-routed to Dallas, Texas and will arrive at the Phillip Goldson International Airport in Belize at 2:05 p.m. Saturday afternoon. If the body arrives on schedule the wake will take place in Crooked Tree Village Saturday night and the funeral on Sunday as previously planned.